Please take some time to read through our Constitution. 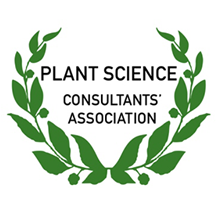 The Plant Science Consultants Association is a voluntary association of individual scientists and researchers, crop protection specialists, crop specialists and regulatory specialists. We provide professional consultancy and contract research services to the crop protection industry including CropLife South Africa and its Affiliates, users of crop protection products, government agencies and the Registrar of Act36/1947. © 2019 Plant Science Consultants Association. All rights reserved.